When I left Condon & Cook in 1998 to seek my fortune in the wider world, I wound up in Beverly with Mark Boyle, a classmate of mine from undergraduate days. Mark was kind enough to let me use a space on the second floor of the converted house on Walden Parkway where he kept his office and, from that second floor window, I had a wonderful view... of the trains pulling in and out of the 99th St. Metra Rock Island Station. Mark knew I wanted to get back downtown as soon as possible. "As soon as possible" turned out to be two years -- but in 2000 Charles A. "Pat" Boyle (no relation to Mark) offered me the use of an unused office in his suite at 55 E. Monroe Street. 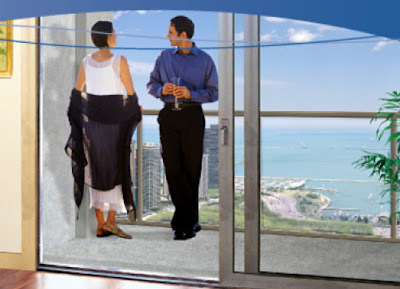 I was only there a year... but what a difficult year it was: I had to sit with my back to the windows at all times because that 45th floor office had the most magnificent view of Lake Michigan you can imagine. I was afraid I'd look out the window in the morning... and keep looking until my wife called to inquire if I was ever coming home for dinner. The Park Monroe looks like it should be a fabulous place to live; that link will take you to the sales web site (from which the images used here are taken). It looks like the developers are building little recessed terraces into the building; these might be a little scary at first, but at least you'd not be hanging out over the void. NBC5's Lisa Parker reported last week about an Illinois statute that the Chicago Transit Authority is using "to shield" it "from paying the claims of legitimate accident victims." The statute in question is §41 of the Metropolitan Transit Act, 70 ILCS 3605/41. Parker reports that §41 "demands precise details about an incident. One mistake and 'the case shall be dismissed' and 'the person forever barred from further suing.'" 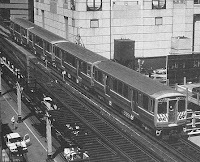 Section 41 was enacted in 1945, according to Parker's report, "to protect the Chicago Transit Authority from fraudulent lawsuits." 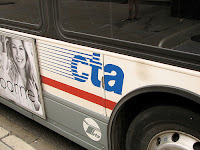 No representative of the CTA would appear on camera for the story, but in a written statement, the CTA reminded Chicago viewers that it "'is a target for numerous claims,' and this law helps combat fraudulent ones." Parker reports that §41 is a "strict-compliance law" that some judges apply only "reluctantly." She quotes a plaintiff's attorney, Mike Baird, as saying, "It should be changed by the legislature, but the courts are not powerless." 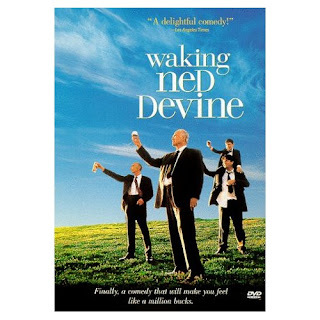 Parker noted that advocates of "a change in the law say one word would do the trick -- from 'strict' compliance to 'substantial compliance.'" No civil action shall be commenced in any court against the Authority by any person for any injury to his person unless it is commenced within one year from the date that the injury was received or the cause of action accrued. Within six (6) months from the date that such an injury was received or such cause of action accrued, any person who is about to commence any civil action in any court against the Authority for damages on account of any injury to his person shall file in the office of the secretary of the Board and also in the office of the General Counsel for the Authority either by himself, his agent, or attorney, a statement, in writing, signed by himself, his agent, or attorney, giving the name of the person to whom the cause of action has accrued, the name and residence of the person injured, the date and about the hour of the accident, the place or location where the accident occurred and the name and address of the attending physician, if any. If the notice provided for by this section is not filed as provided, any such civil action commenced against the Authority shall be dismissed and the person to whom any such cause of action accrued for any personal injury shall be forever barred from further suing. Any person who notifies the Authority that he or she was injured or has a cause of action shall be furnished a copy of Section 41 of this Act. Within 10 days after being notified in writing, the Authority shall either send a copy by certified mail to the person at his or her last known address or hand deliver a copy to the person who shall acknowledge receipt by his or her signature. When the Authority is notified later than 6 months from the date the injury occurred or the cause of action arose, the Authority is not obligated to furnish a copy of Section 41 to the person. In the event the Authority fails to furnish a copy of Section 41 as provided in this Section, any action commenced against the Authority shall not be dismissed for failure to file a written notice as provided in this Section. Compliance with this Section shall be liberally construed in favor of the person required to file a written statement. But while the word "strict" is not used in §41, courts interpreting the statute have demanded strict compliance with the its provisions. Where the word "shall" appears in a legislative provision, the requirements of that provision are generally interpreted as mandatory. * * * Our courts have consistently held that the section 41 notice requirement demands strict compliance and the burden of such compliance falls solely on the plaintiff. * * * Regardless of the CTA's actual knowledge of the facts pertaining to an injury, a notice missing a single element or containing an incorrect element is considered defective and requires dismissal. In Curtis the fatal flaw was misstating the date of the accident that gave rise to the claim – by a single day. There was no question that the CTA knew about the mistake; it cited the correct date in an affirmative defense. Discovery was conducted, medical records and police reports obtained: Everyone involved in the case was ultimately quite satisfied that the accident in question took place on February 13, not February 12 as plaintiff had erroneously alleged in her §41 notice... and in her complaint. And that's when the CTA moved to dismiss. The motion was granted, and the dismissal affirmed on appeal. Curtis was again followed just this month in White v. Chicago Transit Authority, No. 1-05-3152 (Ill.App.1st Dist. 5/4/07). Geneva White's case is rather distinctive among §41 cases because her case actually came to trial. A jury of her peers awarded her a verdict of $220,220. It seems safe to suppose that – but for the operation of §41 – White's case had some merit. White was hurt on May 30, 1997, when she slipped on an oil or grease stain while departing a CTA train. On October 8 of that year, White filed a §41 notice with the CTA. In it, she identified the location of her accident as the "Railway Station at Randolph and Washington." There was a small problem with this identification: Randolph and Washington are parallel streets; they do not intersect. Nevertheless, the CTA did not assert the defect in the §41 notice, not right away. In 2002, White voluntarily dismissed her original 1997 case. Under Illinois law, a case may be voluntarily dismissed and refiled within a year even though the statute of limitations had expired long since. (See, §13-217 of the Illinois Code of Civil Procedure, 735 ILCS 5/13-217.) The new opinion does not say why she took this step; it sometimes happens that a case may be voluntarily dismissed on the eve of trial because the plaintiff is still undergoing medical treatment or because the plaintiff's attorney is not yet ready to put on the case. White refiled her complaint just before the end of 2002; the CTA asserted the defect in the §41 notice in response to the new pleading. It will surprise no one that the opinion in the new White case does not address why the CTA did not assert this defense earlier. Nor does the opinion state exactly when her original complaint was filed, only that it was filed in 1997. I speculate that the original complaint may have been filed within six months of the May 30, 1997 accident. Daven Curtis' complaint had been filed within about five weeks of her accident in 2000, well within the six month notice period. Before the Curtis case it was believed, at least in some circles, that filing a complaint against the CTA within six months of an accident obviated the necessity of strict compliance with §41. The Curtis court rejected that notion (793 N.E.2d at 89): "[E]ven if a defective section 41 notice may be cured by the filing of a complaint within the statutory period, the complaint must at least provide the statutorily required information, which was previously incorrect or omitted, in order to comply with the strict demands of section 41." The plaintiff in Johnson v. Chicago Transit Authority, 366 Ill.App.3d 867, 853 N.E.2d 783, 790 (1st Dist. 2006), claimed that, in the foregoing statement, Curtis worked "a sea change in the law governing the construction of municipal notice statutes." But the Appellate Court disagreed (853 N.E.2d at 790-91 – strict compliance with §41 was "not a new rule of law in Illinois" and "Curtis did not overrule any clear past precedent"). So maybe, in 1997 when Geneva White filed her first complaint, the CTA didn't accept the idea that filing a complaint within six months of an accident obviated the necessity of filing a meticulously detailed §41 statement; maybe, in her case, the CTA simply forgot to assert its rights. But, whatever the reason, when Geneva White nonsuited and refiled her case, the CTA had another chance to invoke §41. And this time the CTA did not miss that chance. 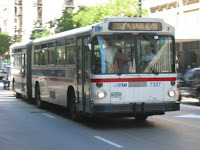 The motion judge assigned to the case, however, Cook County Circuit Judge Diane Larsen, felt that the argument was raised too late: She found that the CTA had waived its right to invoke §41 (slip op. at p. 2). The Appellate Court decided that Judge Larsen's ruling was wrong (slip op. at p. 3): "Plaintiff's second [refiled] complaint constituted a separate and distinct action, not a reinstatement of the first action. [Citations omitted.] Thus, although the CTA did not assert a section 41 defense in plaintiff's initial action, this did not preclude the CTA from raising it in the new action." Geneva White's $220,220 verdict was thrown out. White's other, unsuccessful argument on appeal was that the CTA failed to send her the notice required by the second paragraph of §41. This second paragraph was added by P.A. 90-451 , effective July 1, 1998 – over a year after Geneva White's injury and seven or eight months after she first filed her suit. But White suggested that the CTA had to serve a copy of §41 in connection with White's refiled suit. The Appellate Court, however, found (slip op. at p. 4), "Because plaintiff was injured in 1997, any notice provided by her 2002 complaint occurred well outside of the six-month period specified in the Act and, thus, the CTA did not have to provide her with a copy of section 41 and no waiver resulted from its failure to do so." We've already seen that the word "strict" is not found within §41. In fact, a very different rule of construction seems to be suggested by the very last sentence of the 1998 amendment: "Compliance with this Section shall be liberally construed in favor of the person required to file a written statement." Most of the added-on second paragraph of §41 deals with the CTA's obligation to respond to any arguable notice of a claim received within six months of an injury by serving on the claimant a copy of §41 – making certain that the claimant has actual notice of all that is required by the statute. But this last sentence of the 1998 amendment seems to suggest that the many courts which have strictly construed §41 (at least since 1998) have gotten it wrong: It looks like this sentence mandates a liberal construction in favor of the person required to put together the §41 notice. If this sentence only applied to the second paragraph in which it is found, it would seem superfluous. The second paragraph of §41 does not require the "person required to file a written statement" to do much... except to receive a copy of the statute. What need is there for liberal construction on this point? No, limiting this last sentence to only the second paragraph would seem to offend the familiar principle of statutory construction, "A statute should be construed so that no word or phrase is rendered superfluous or meaningless." Kraft, Inc. v. Edgar, 138 Ill.2d 178, 561 N.E.2d 656, 661 (1990). But that's not how the Appellate Court saw it in the one and only case that so far has directly considered the applicability of the "liberal construction" provision of §41. In Yokley v. Chicago Transit Authority, 307 Ill.App.3d 132, 717 N.E.2d 451 (1st Dist. 1999), the fatal defect cited in the §41 motion was an allegedly inaccurate address where the accident took place. Myron Yokley was trying to get off a northbound bus in July 1993, but the bus started moving before Yokley was clear. The bus ran over Yokley; despite surgery and therapy, Yokley eventually lost his leg. The Appellate Court affirmed – despite Yokley's protestations that his §41 notice should be liberally construed in his favor. Rejecting this argument the court stated (717 N.E.2d at 456), "Courts do not view retroactive legislation favorably, and there is a strong presumption that new legislation will operate prospectively. [Citation omitted.] In addition, postponement of an act's effective date indicates that the amendment should have only prospective application. [Citation omitted.] Although the other provisions of section 99 of Public Act 90-451 were made effective on January 1, 1998, the provision regarding section 41 was made effective on July 1, 1998. Pub. Act 90-451, § 99 (eff. July 1, 1998). The legislature expressly postponed the effective date of the amendment to section 41; therefore, the amendment is not retroactive to the date of plaintiff's injury in 1993." I submit, however, that this is mere dicta – and, worse, dicta that doesn't make sense: The last sentence of §41 does not mention the CTA; it specifically mentions the "person required to file a written statement." It is this person in whose favor the statute is to be liberally construed. Nevertheless, the strict construction rule is so well established in the case law that the dicta in Yokley has apparently precluded any further consideration of whether the legislature has already prescribed a contrary rule of liberal construction. The Supreme Court has never addressed this issue. It would be interesting to see what might happen if it takes a look at White. Joe Curcio and his wife pulled off the Florida Turnpike for a cup of coffee at the Fort Drum Service Plaza. While they were there, they bought a $20 "Gold Rush" lottery ticket -- and it seemed they had a $500,000 winner, according to a story this morning on the Tampa Bay Fox TV station website. 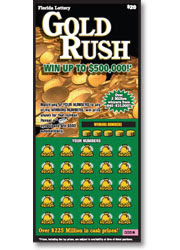 The AP reports, "The Gold Rush ticket has the numeral 1 on the top row and a numeral 1 above the $500,000 scratch-off piece, making the ticket appear to be a winner. But when Curcio had it scanned, the ticket's bar code indicated it wasn't." Instead, according to the story, Florida lottery officials now claim that the number 1 in the top row was a "misprint" -- it should have been the number 13. Curcio has hired a lawyer. He has not yet turned over the ticket to lottery officials. Lottery spokeswoman Jacqueline Barreiros said Curcio must turn over the ticket "for a full inspection." The AP story quotes Berreiros: "We can't say whether we will pay the jackpot or not until we go through the process," she said. That sounds kind of ominous, doesn't it? I venture no predictions, of course, on the success or failure of Mr. Curcio's efforts to collect on his Florida ticket. But I was curious as to what Illinois law might provide in a similar situation. My quick research this morning led me to the Illinois Lottery Law, 20 ILCS 1605/1 et seq. Section 19 of the Lottery Law provides, in pertinent part, "Prizes for lottery games which involve the purchase of a physical lottery ticket may be claimed only by presentation of a valid winning lottery ticket that matches validation records on file with the Lottery; no claim may be honored which is based on the assertion that the ticket was lost or stolen. No lottery ticket which has been altered, mutilated, or fails to pass validation tests shall be deemed to be a winning ticket." Indeed, if Mr. Curcio were in Illinois, and if it were determined that his ticket had been altered, he might be in a whole heap o' trouble. Section 14.2 of the Illinois Lottery Law provides, "Any person who, with intent to defraud, shall falsely make, alter, forge, utter, pass or counterfeit a lottery ticket or share issued by the State of Illinois under this Act shall be guilty of a Class 4 felony." And how do we know what a would-be defrauder 'intended'? Section 14.2 provides further, "It shall be prima facie evidence of intent to defraud for a person to possess a lottery ticket or share issued by the State under this Act if he or she knows that ticket or share was falsely made, altered, forged, uttered, passed, or counterfeited." For our discussion, let's assume that the ticket has not been altered or forged. If it is truly a "misprint" it will not pass the Lottery's validation test -- necessary to secure a payout, according to the statute -- and in the actual case of Mr. Curcio in Florida, that seems to be what lottery officials there are suggesting. So -- purely a guess on my part -- but if Mr. Curcio were presenting this same claim in Illinois he might not not recover against the Lottery because of the language of §19 of the Illinois Lottery Law. But might the printer have some exposure here? And would the careless printer be found to owe a duty to an unknown ticket buyer? What if the person who got the 'misprinted' ticket had a weak heart -- and died in the excitement? Would a duty arise then? This could become an interesting academic discussion -- but it probably already is a public relations nightmare for the Florida Lottery. Assuming Mr. Curcio innocently bought a misprinted ticket, I would venture -- fearless prediction here -- that the Florida lottery officials may try and settle the matter with him for something less than the whole $500,000 prize and then go after the printer themselves. That might be a good way to recover from the negative publicity and maybe even generate a positive spin on it all. No, I wouldn't want to be the printer (or its liability insurer) this morning. I seem to recall similar "misprint" issues involving scratch and win games offered by restaurants or soft drink companies... but I don't know how these were resolved. You've probably read recently about the case of John Brandick, the 62 year old man from Cornwall, who was told he had pancreatic cancer. Here's a link to the Reuters story about Mr. Brandick: Reuters reports that Brandick quit his job, gave away nearly all of his possessions and stopped paying the mortgage on his home. A year after receiving what he thought was a death sentence, Brandick received an unexpected reprieve: The deadly tumor turned out to be a "non-life-threatening inflammation of the pancreas." But by this time, however, Brandick was left with "little more than the black suit, white shirt and red tie that he had planned to be buried in." Brandick wants his money back. Reuters quotes him: "I'm really pleased that I've got a second chance in life... but if you haven't got no money after all this, which is my fault -- I spent it all -- they should pay something back." Who, I wonder, is "they"? I have speculated, a little, on how Mr. Brandick might fare if he were a citizen of Illinois. What is the essence of his claim? That he is still alive? But we have moved far from Mr. Brandick's case. The essence of his complaint is not that he's alive... but that he acted to his detriment because of an erroneous diagnosis. There are, as you may well imagine, all sorts of cases in Illinois involving misdiagnosis of cancer. Almost all, however, concern the failure to timely diagnose a cancer that was already there or the misdiagnosis of one form of cancer as another form. In either of these cases, the claim is that proper treatment was delayed, often beyond the point at which the claimant could hope for recovery. But there have been at least a few Illinois cases in which a doctor has erroneously diagnosed a benign tumor as cancerous -- I say there must have been a few because I know personally of one, although the Appellate Court opinion is not reported -- but the gist of that such an action is to recover damages for the cost of the resultant unnecessary treatment and the associated pain and suffering caused by that treatment. Mr. Brandick apparently did not seek treatment for his 'cancer' -- he treated himself to an end of life party... a party that ended suddenly when he found he was not yet going to die... and he had only the suit on his back left. If Mr. Brandick were in Illinois, I don't think I would like his chances for any recovery in his case. And I think I would persist in this opinion even if it could be readily shown that the misdiagnosis of the non-life-threatening inflammation of the pancreas as pancreatic cancer did not meet the standard of care. Now that is the prerequisite for any successful medical malpractice suit in Illinois. But there are other considerations that might come into play were Mr. Brandick's situation repeated in Illinois: Would the damages recoverable by his suit make the case worthwhile for any Illinois lawyer? I do not handle medical malpractice cases now and I do not expect to handle medical malpractice cases in future. The very few attorneys in Illinois who can properly handle such a case for plaintiffs are both extraordinarily specialized and have the resources to pursue those few cases that they accept: Medical malpractice litigation, at least in Illinois, is very expensive and -- although there are competing statistics out there provided by lobbyists for one interest group or another -- my observation is that early settlements are rare. Mr. Brandick admits up front that no one made him spend all his money -- so, no, if Mr. Brandick were in Illinois, I wouldn't like his chances. Now, for any creative attorneys out there who may stumble upon this: Have you a different opinion? Would his prospects be any brighter in the jurisdiction where you live and practice?